Monster yellowfin tuna to 350lb – averaging more than 200lb – have provided much of the action here over the past two months. Each boat’s daily catch has averaged around 1000lb of fish, and most of the big fish action has occurred on Hannibal bank. Inshore fishing has also been good for roosterfish to 70lb and cubera snapper of similar weight. The first of the years huge female black marlin have arrived early. In the second week of July one of our guests battled a black in excess of 1,100lb according to all onboard. 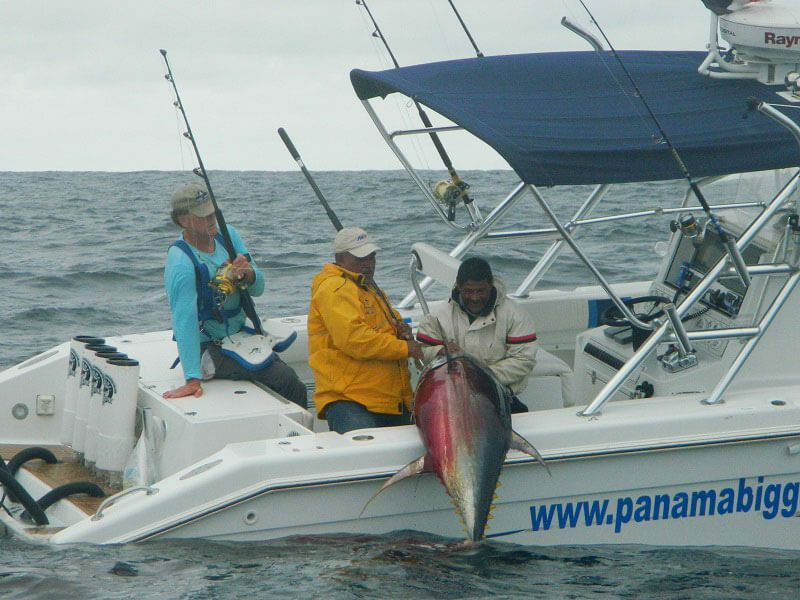 If you want to catch a marlin over 800lb, or a yellowfin between 200 – 400lb, then Panama has a lot to offer between now and the end of September.